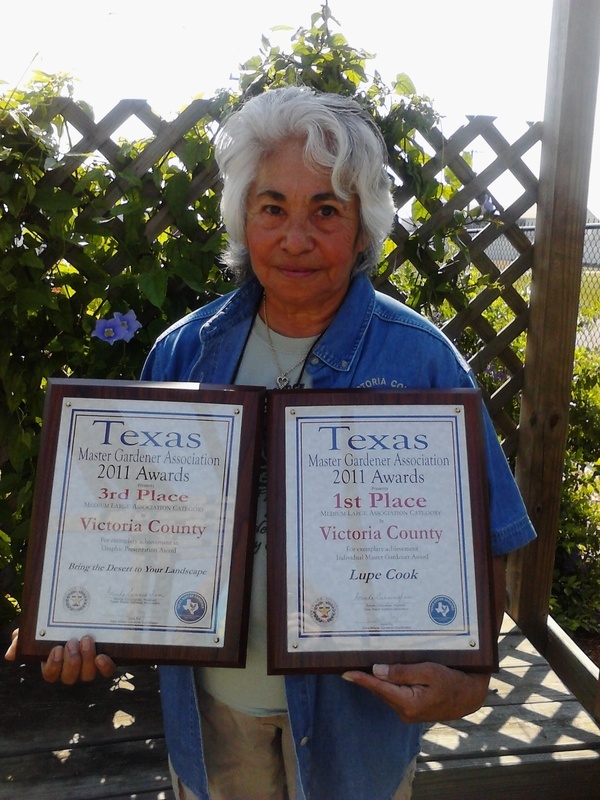 1st - Individual Master Gardener "Lupe Cook"
Pictured above are Joe Janak, Victoria County Extension Agent, and VCMGA Members with the 2009 Texas State Master Gardener Awards awarded during the 2010 conference. 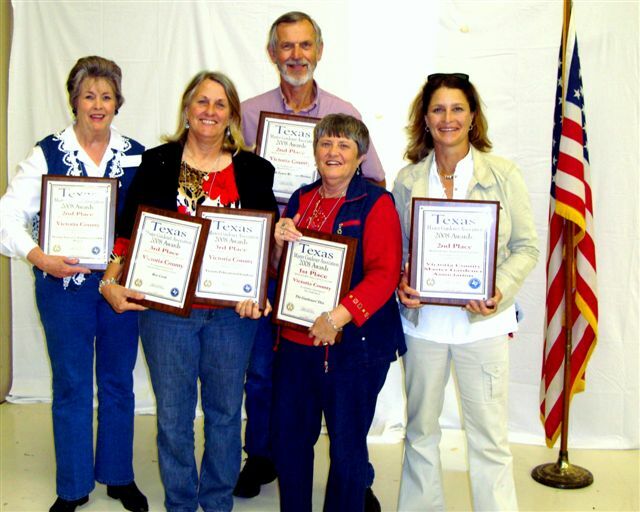 From left back row: Barbara Haley, Pat Plowman, Jolene Molder and Virginia Ruschhaupt. 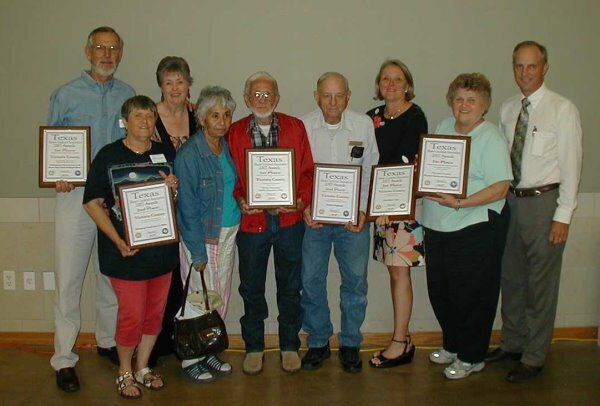 1st - Individual Master Gardener "Pat Plowman"
Pictured above from left: Jerome Janak, Kay Dillingham, Mary Janak, Lupe Cook, Roy Cook, Ed Gregurek, Pat Blanchard, Helen Boatman, and Joe Janak. 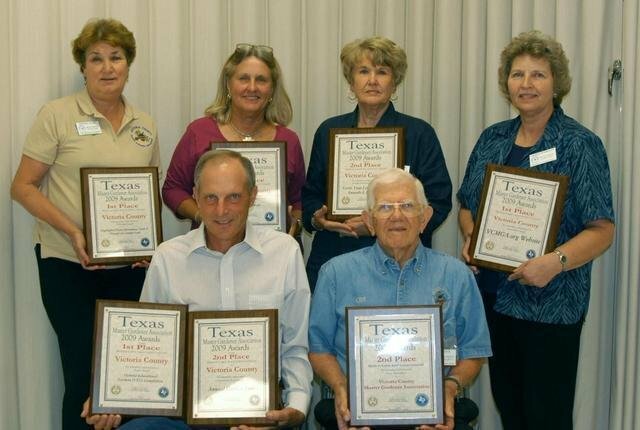 Members are holding the plaques for the 2007 State Awards at the TMGA Conference held in Kerrville, April 25, 2008.